Hosting for your Vision Helpdesk website that just works. Servers optimized to give you the best Vision Helpdesk experience possible. 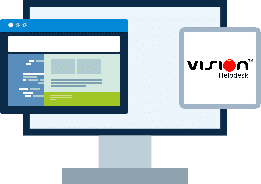 We’ll even install Vision Helpdesk for you! We’ll move the Vision Helpdesk site for you! Softaculous auto-installer – Install Vision Helpdesk in just a few clicks. GD support – Needed for many Vision Helpdesk plugins. Zend and Ioncube support – Needed for some Vision Helpdesk plugins. ALL IN ONE Web Based Help Desk Software by Vision Helpdesk, supports Multi Company and Multi Channels like E-MAIL, WEB PORTAL, PHONE, TWITTER, FACEBOOK, and CHATS. 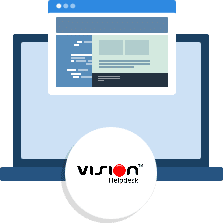 Vision Helpdesk offers wide array of features like Ticket Management, Client Management, Staff Management, Self-Help, Automation Workflow, SLA, Reports and more.. Apart from above listed features Vision Helpdesk offers some unique features like Satellite Helpdesk, Ticket Billing, Blabby and Multi-Channel. BuyHTTP is not affiliated with or endorsed by the Vision Helpdesk project.